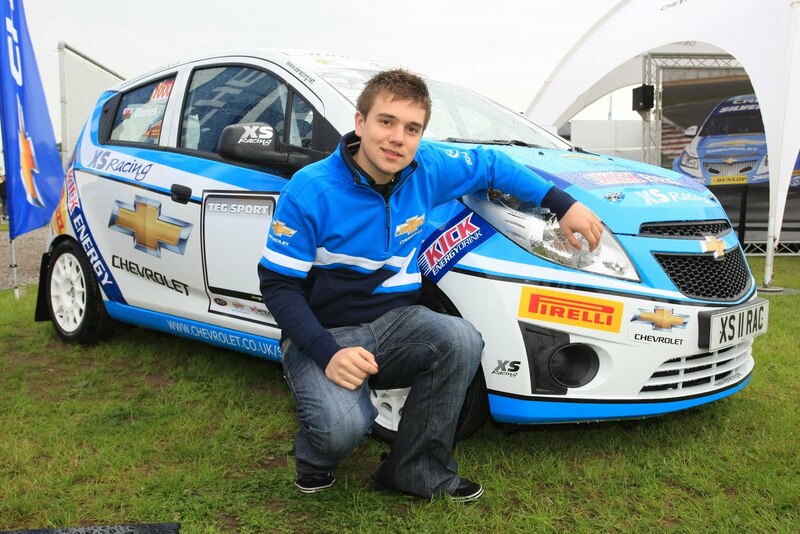 Not content with having their own BTCC team, Chevrolet have launched their own works rally team. But here's the surprise. It's not in the British Rally Championship. It is in a rally series that doesn't have the most powerful cars and the drivers are too young to even have a road driving licence. Formula 1000. As the name suggests this series for 1 litre cars and young drivers has been going for several years now and continues to grow year on year. It's fantastic to see such an initiative in place, and even better to see it getting the support it deserves from sponsors such as Pirelli, Kick Energy, and now Chevrolet. As for Cameron, We're sure he'll be a star of the future and definitely one to watch over the coming years. With a move up to an "adult" series looming, it's going to be an interesting year for him. It's not impossible to do well in rallying before you can drive on the road - just look at Tom Cave in British Rally Championship and the BTRDA rally series (and has only taken 3 years to go from a Fiesta up to a Mitsubishi Evo X). We await news of Cameron's career with great interest! The 16-year old, from Llandovery, Carmarthenshire, is the series’ reigning champion, and is widely tipped to become Britain’s next rallying great. Cameron’s car, and Chevrolet’s involvement, were revealed at the British Touring Car Championship round at Oulton Park, Cheshire, the closest BTCC circuit to Cameron’s home. The car was rally-prepared and developed by rallying specialists XS Racing. The Spark’s first outing will be on June 24 at Caerwent, near Newport, once Cameron’s exams are out of the way. After his GCSEs, Cameron wants to do an Advanced Apprenticeship in Sporting Excellence, focusing on developing his rally career. Cameron will be partnered by 22-year old co-driver Chris Williams from Barrow-in-Furness, Cumbria, in the series, which is aimed drivers aged between 14 and 16. The regulations stipulate that the car must be mechanically standard and of 1.0-litre displacement, with only minor modifications allowed to the brakes, suspension and exhaust system. In total, drivers can compete in nine out of 13 events across England and Wales, with the best seven finishes counting towards the championship.